I’m pleased to be able to bring you this review of some of the new Spa Range from Burt Bees, one of my all time favourite beauty brands I’ve been using this range for years. Burts Bees lip balm is one of my beauty essentials, so it’s nice to be able to sample some of the bath and shower products instead. The new spa range features Sugar Scrub, Conditioning Body Bar and Body Butters. The range features these products in three scent option: relax (honey & shea), replenish (cranberry & pomegranate) and revatilise (mango & orange). I’ve been sampling the relax range in honey & shea. Burt’s Bees Honey & Shea Sugar Scrub retails at Â£12.99 for 225g and comes in a shallow plastic tub, with the iconic yellow labels and clear ingredients listing. Burts Bees is always about good, natural ingredients, so I love that I can understand what’s in it. I’m also pleased that the tub is plastic, for something that lives in the bath room, plastic is clearly the more practical option. 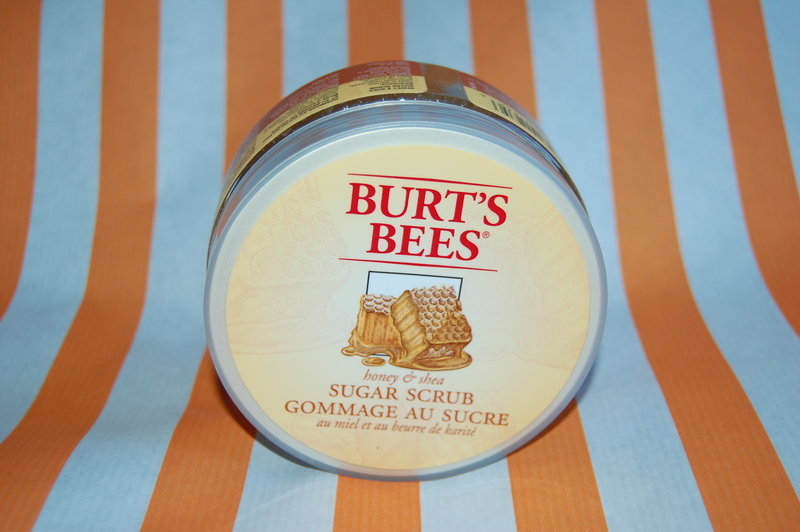 Burt’s Bees Sugar Scrub contains large granules of sugar as the main body of the scrub, making the texture very think, ideal for exfoliating the skin and tackling cellulite. Ground almonds offer a fine scrub granule and Coconut Oil leaves skin smooth, soft and moisturised, but without any heavy residue. The consistency is really thick, which I like because it means that you don’t waste much, as it stays put. 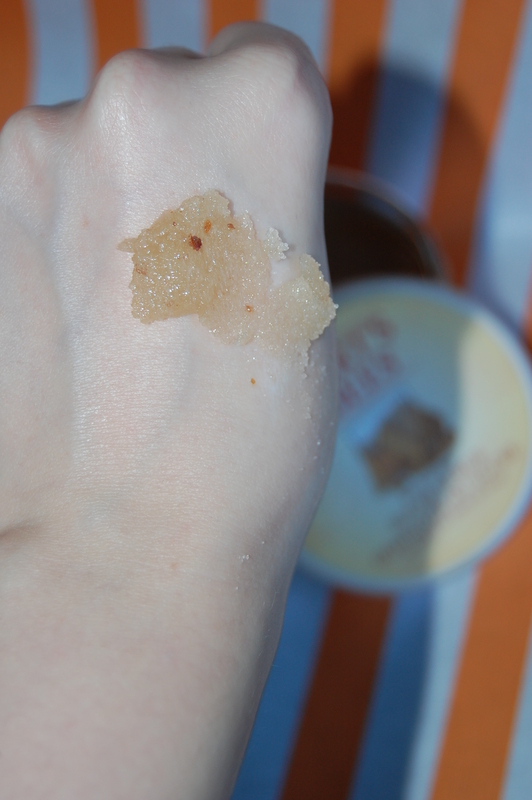 I used the Sugar Scrub in the shower and could really tell how the scrub brightened my skin, exfoliating and smoothing without too much abrasion. I would say, that I don’t think this would last as long as some similar products though, as to use for the whole body you do need a good dollop, due to the thick consistency. The verdict? A lovely product, which is great for all over, heavy duty exfoliation and moisturising. The natural ingredients, make a for a gentle product with a soft scent which would be ideal for anyone. For Â£12.99 you are paying a good quality product, so it’s well worth the money. Want to know about the other products in this range? Watch this space, more reviews coming soon! 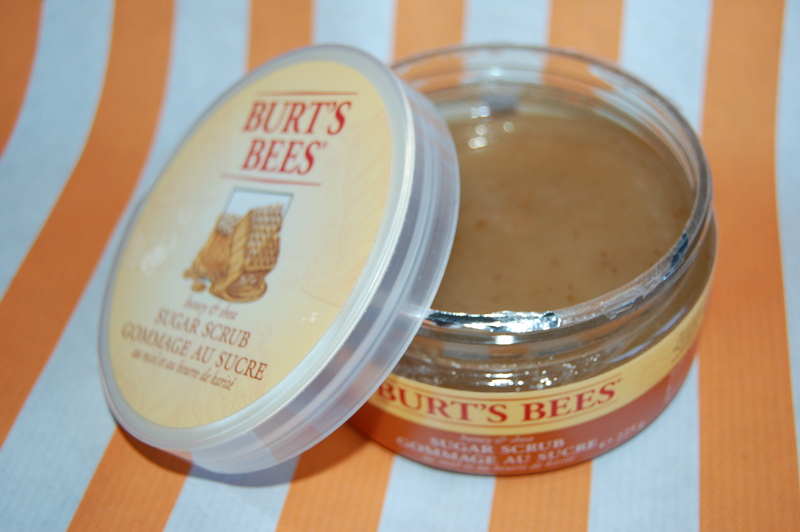 Are you a Burt’s Bees fan? What’s your favourite body scrub product?